Chelsea and Manchester United are listed as among the clubs eyeing up the free transfer of Arsenal midfielder Aaron Ramsey as he looks set to leave the club. According to a shock update from the Daily Mirror, the Wales international has no new contract offer on the table and is heading for an exit from the Emirates Stadium on a Bosman. 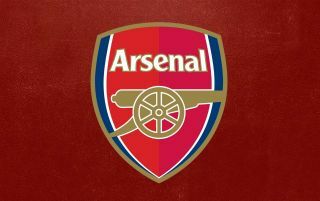 Ramsey has been a key player for Arsenal for many years and it may not be such a big surprise that he wants a new challenge, but what’s surprising about this report is the apparent lack of more effort from the Gunners’ end. Unai Emery has relied heavily on Ramsey for most of this season so far and could do with a player of his quality and experience in this squad as he faces the difficult job of rebuilding after Arsene Wenger. The Mirror links Chelsea, United, Juventus and Lazio as among the clubs who’ve become interested in Ramsey since the summer. The 27-year-old would certainly make a fine addition for top Premier League clubs like Chelsea and United, who both have their own issues in midfield at the moment. The Blues only have Mateo Kovacic on loan this season and could do with more options after a lack of impact by the likes of Ross Barkley and Danny Drinkwater, while the Red Devils lost Michael Carrick to retirement and face doubts over Paul Pogba’s future, as has been reported by the Daily Star and numerous others.